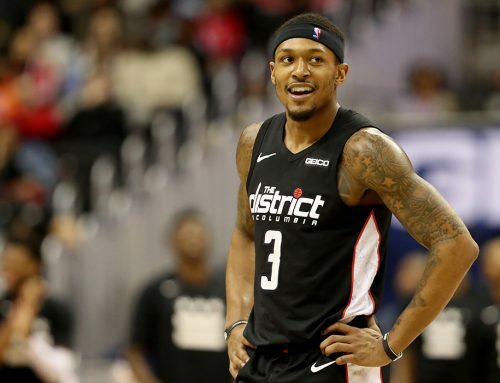 Bradley Beal’s dominant performance against the Miami Heat on Tuesday helped the Washington Wizards snap their three-game losing streak against an opponent that trailed them by only two games in the standings entering the night. The Wizards had dropped their three previous games to quality opponents in close defeats, losing by a combined 18 points to the Golden State Warriors, Toronto Raptors and Indiana Pacers over the last week. This win over Miami is critical for a Washington team that is battling every night for playoff positioning. Their next seven games will come against teams that are in playoff contention, so every game is important down the stretch. Brad was electric in this game, leading all scorers with 30 points on a scorching night from the field. No. 3 knocked down six of seven three-point attempts and 12 of 16 shots overall for the night. The Panda didn’t just shoot it against the Heat, he also filled up the rest of the stat sheet on Tuesday, adding six boards and seven assists. Markieff Morris notched a double-double with 16 points and 13 rebounds and was the beneficiary of several of Beal’s dimes against Miami. The Wizards built a 27-9 lead to start the game, but the Heat battled back and forced overtime. 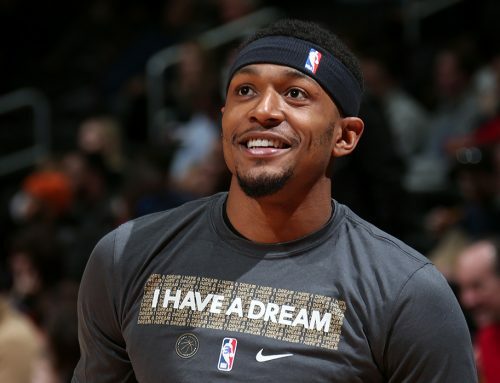 BB started the Wizards off with a bucket in the extra period, and Morris would put the game on ice when he knocked down a three off a Beal assist with 1:07 remaining. Washington would hold on from there to win 117-113. 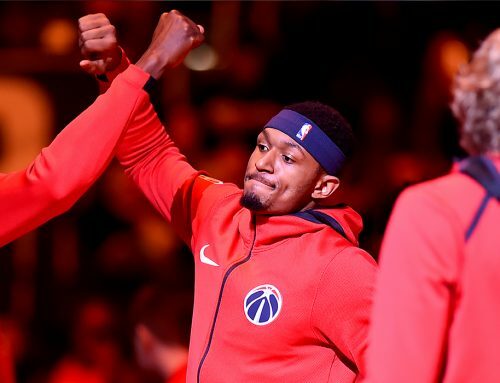 “Down the stretch we did a good job of staying poised, getting stops when we needed to, and hitting our free throws,” Beal said. The Wizards got back in the win column against Miami, but they won’t be resting on the victory. The team will have two days to prepare for a two-game road trip that begins Friday with a tilt against the surging New Orleans Pelicans, who have been climbing up the Western Conference standings since the All-Star break. Then, they will play the Heat in Miami on Saturday on the second night of a back-to-back.